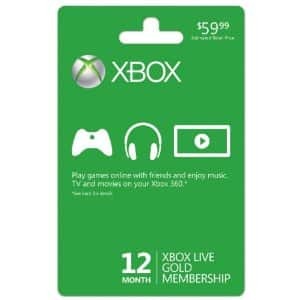 Click here to visit the Amazon site and you’ll be able to score a 1 year Xbox Live gold subscription card for $39.99 (Regularly $59.99). They’re also offering free super saver shipping with this. *Keep in mind Amazon prices can change, so make sure it’s still $39.99 before you add it to your cart.